Properties in Arignac average 4.6 out of 5 stars. Property 6: MERCUS - GARRABET in the center of the village APARTMENT 49 m², 2 people. 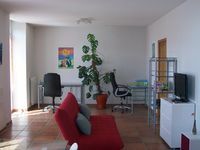 spacious and bright apartment in the historic center of Foix. Property 9: spacious and bright apartment in the historic center of Foix. Mountain Village house, enjoying maximum sunshine. Property 14: Mountain Village house, enjoying maximum sunshine. House.Free WI-FI and Private Covered Pool. Property 16: House.Free WI-FI and Private Covered Pool. Villa 8 people in the heart of the 3 valleys Ariegeoise ! !Free breakfast! Property 23: Villa 8 people in the heart of the 3 valleys Ariegeoise ! !Free breakfast! Apartment for rent for your holidays in the Pyrenees Ariegeoises. 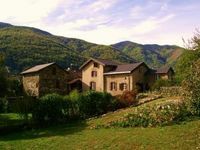 Property 50: Apartment for rent for your holidays in the Pyrenees Ariegeoises. Peacefull, authentic and cosy. Very comfortable and spacious for 2 families.